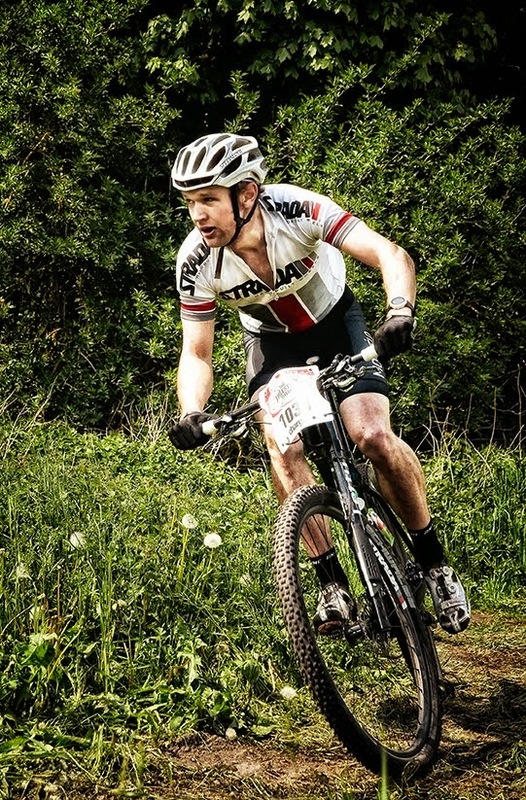 Chris Noble: Brighton Big Dog, first geared race in two years! Brighton Big Dog, first geared race in two years! I had booked my solo entry for Brighton Big Dog 6 hour months ago because i'd had such a good race last year, achieving a surprise 5th place on rigid singlespeed! Recently I had been feeling some doubt on how well I could do after a poor performance at Bontrager 24:12 and I had been struggling with motivation to train properly. I arrived in Brighton friday afternoon, and rode a practice lap with my good friend Ronnie, from the Brighton Mountain Bike Club, he has always supported my racing and encouraged me to set my sights higher than I imagined I could. The practice lap was slippery and slow going, so my nerves were on edge and I was dreading another potentially boggy race! 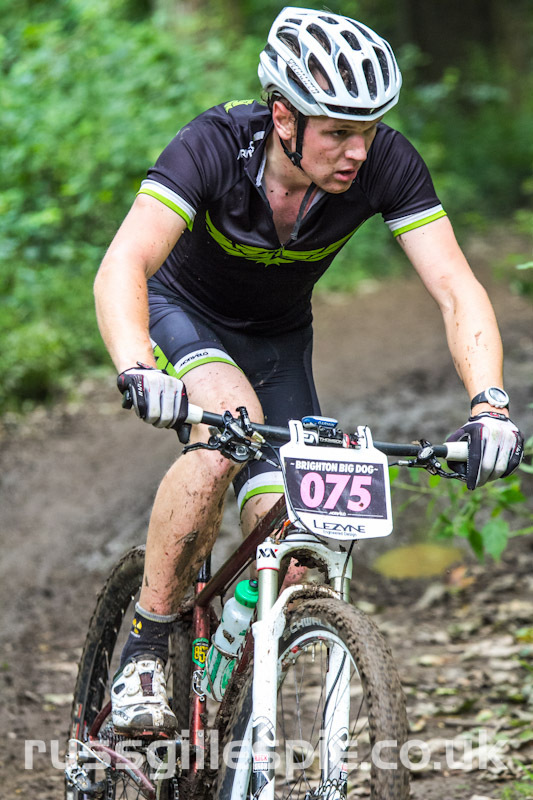 I'd chosen to race geared for the first time in years due to the lack of single speed class, I must say a big thanks to Scott Swalling for lending me the geared wheel, I would have struggled on the wet root sections if i'd ridden single speed. Saturday morning arrived and I was feeling calm and more relaxed after the bad weather I had expected had not arrived. Lining up for the start I spotted the usual fast faces I have come to recognise, therefore starting the race I decided a top 10 finish was the race aim. After an unusual short two lap warm-up, the race started. I felt ok off the start, remembering to keep my head and not take any silly risks and as the first lap progressed I was out on my own, behind the lead group, but in-front of the main race group, I was happy with my position as the course still felt slippery, and a few uphill sections remained difficult to clear without stalling. The second lap felt much better, the course was clear of riders and the slippy patches had started drying and sections I had ran the lap before where now ridable and the singletrack was fast and flowing. The third and forth laps were within +/- 1minute of each other, and I was feeling good, clearing the technical climbs and enjoying the course. Come the seventh and my last lap I still felt good and had an out-side chance of catching 5th place, I attacked every climbing trying to make up 4minutes. Unfortunately it wasn't to be, I finished 6th overall, with the fast guys still in front, despite this I feel it was one of my best races despite the lack of podium, trying to compete against semi-pros on my 25pound, steel framed bike with nine gears is always going to be a compromise on a fast course, hilly course, but it's given me the encouragement I need to make steps next year to progress into being one of the fast guys. I always enjoy going back to Brighton and I it was an opportunity to meet new face in the bike scene, including Sarah from Halo Headband, thanks for the sponsorship and the words of encouragement from the Brighton Mountain Bike Crew.